Well, it was nice while it lasted. With Android, Google had promised us the ideal of a truly open-source mobile operating system being headed by one of the technology world’s most influential organisations. And now, the company has gone ahead and issued a ‘Cease and Desist’ (C&D) order to one of the most popular Android mods around, CyanogenMod. Before we go on, let’s be clear about one thing: Google is clearly right in the legal sense. The problem is the abstract ethical side. For a company that prides itself on its ethics and ‘Don’t be evil’ motto, this is one of the most trust-shattering moves in its history. CyanogenMod is a modded version of Android that overcomes the many shortcomings of Google’s original OS: it’s faster, more stable, comes with more features and can run applications stored on the memory card. 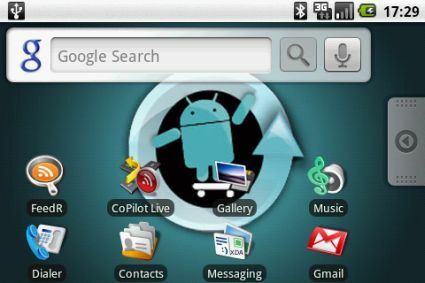 With over 30,000 users, this is one of the most popular Android mods around. And as far as developing this mod and distributing it is concerned, Google has no problems at all. But the mod’s developer received the C&D notice for redistributing the Google Apps that come with the mod. Official Android developer Dan Morrill wrote a long post on the official blog, and in a nutshell, said that while it’s fine for someone to take the Android framework and modify it, it’s not fine to distribute it with Google Apps such as YouTube, Gmail, Maps, etc. Again, this is legally sound and Google might actually be earning a bit from the cell phone manufacturers that it licenses these Apps to; but doesn’t this whole deal make you feel downright icky? It’s a bit like the world’s greatest pizza-maker saying he will share the recipe of his dough and sauce with the whole world for free, but every single topping for the pizza is copyrighted by him and cannot be used. The CyanogenMod developer has since written a blog post that says he will be developing a bare-bones version of the popular mod and that he is in talks with Google to figure a way out of this. Open-source software relies on several unwritten codes of conduct. It’s one of the few places in this dog-eat-dog world – and especially a super-competitive software industry – that gives a lot of importance to morals and ethics. More importantly, open-source relies on a lot of trust, and Google just violated that. Sorry Big G, there’s no way you are ever going to be forgiven for this one… unless you go on to hire the CyanogenMod developer and incorporate his framework into the main Google Android OS itself!